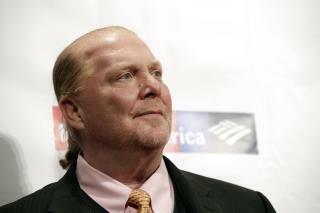 (Newser) – New York City cops reportedly have dropped their investigation of Mario Batali, at least for the time being. A law enforcement official told CNN on Tuesday that the NYPD no longer has any open sexual-assault investigations against the 58-year-old celebrity chef, though there are varying reports on how many there had been. The source tells CNN that of two cases that were looked into by the NYPD's Special Victims Division, one had fallen outside the statute of limitations, and that probable cause couldn't be developed in either. Sources tell TMZ that evidence and witnesses for both cases were lacking. An NYPD official tells the New York Times that the department had investigated and closed three separate cases involving Batali, all of which involved women who said they'd been drinking and couldn't fully recall what had happened.